I wanted to jump on the #banthebead bandwagon and raise awareness on an important issue that I am reading about everywhere – on blogs, in the news and all over Facebook – Microbeads! Microbeads are what is seen in the beauty industry as a cash cow! They’re the tiny beads that could be added to an existing product (clever idea), renamed and hiked up in price. Commonly, they’re found in exfoliant or toothpaste. These little plastic beads are the cheaper alternative to using actual natural ingredients that create the same effect. Well in a nutshell these beads are massively damaging the environment. Washing into rivers and local water sources, they are then eaten by fish and by us! Remember that they are plastic so they’re not biodegradable and they are TOXIC! Simple. STOP using micro beads! Once you have read this and shared, please go and check your bathroom cabinet and toiletries bag. 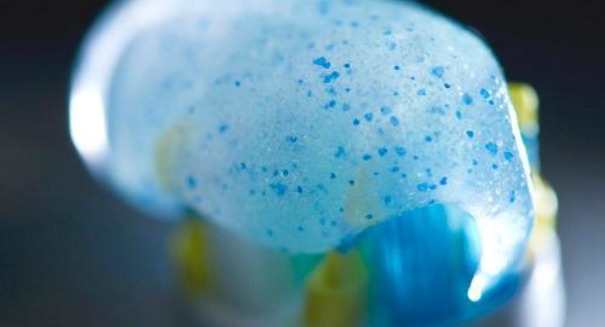 Stop using and buying anything with microbeads in it. It’s time to get mindful of the products that we use, as whilst it might just be affecting the fish (our food source) right now, eventually if this carried on it will kill us all too! Harsh, I know, but it’s true.